What do umi-bozu, macha pound cake and shodo have in common? 1) A thankyou letter and umi-bozu art! 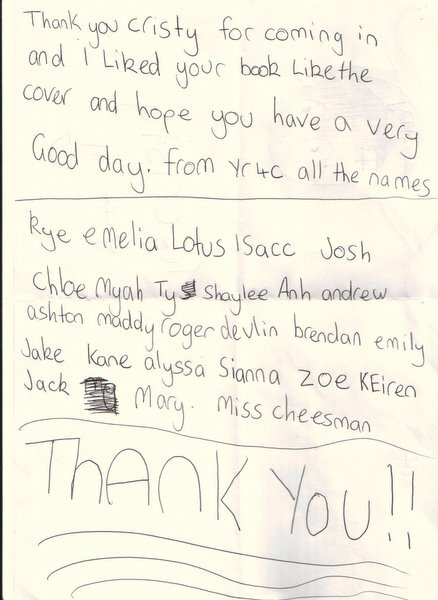 This week at Dongara District High School, I also recieved a thankyou letter and some art…COOL! I was also lucky enough to get several thankyou speeches from students, and that’s always a thrill. 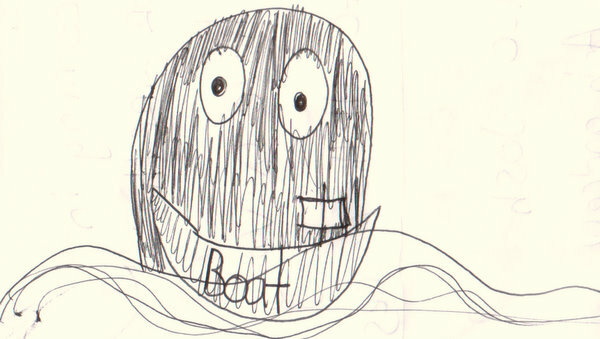 An umi-bozu threatens a passing ship. (BTW, I think you’re very brave to speak in front of all your friends and classmates) (I find it’s much harder to speak in front of people I know than total strangers). So thank you for your thank yous! I loved them!! 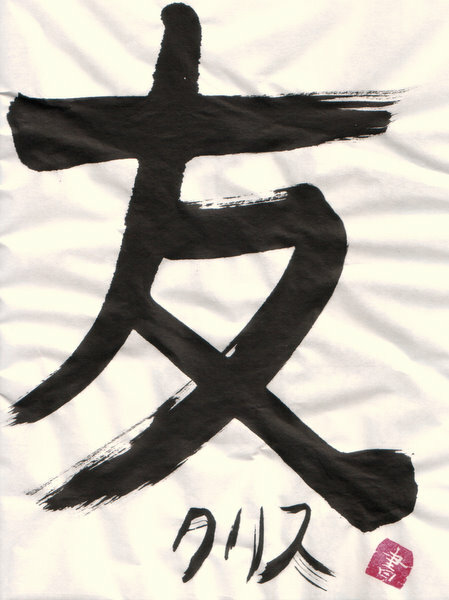 2) A chance to try shodo! 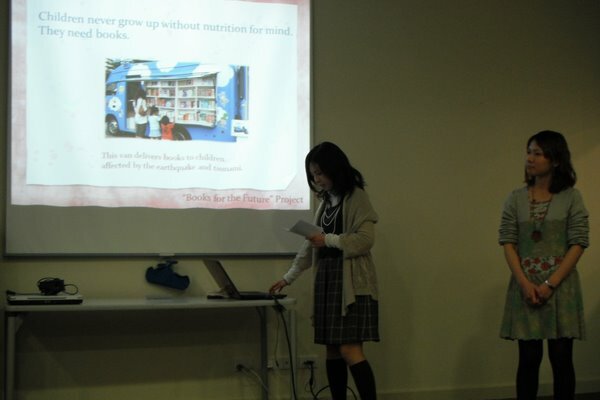 Over the weekend I did a ‘meet the author’ session for a fundraiser for the International Board on Books for Young People at the Hyogo Centre as part of an afternoon of fabulous presentations, one of which was made by the ‘Kobe Girls’, Miki and Maiko. – the girls had cooked up a storm of modan-yaki (like okonomiyaki but with more ingredients), gopan (rice bread) and macha pound cake (green tea flavoured cake) for everyone to enjoy. YUM! 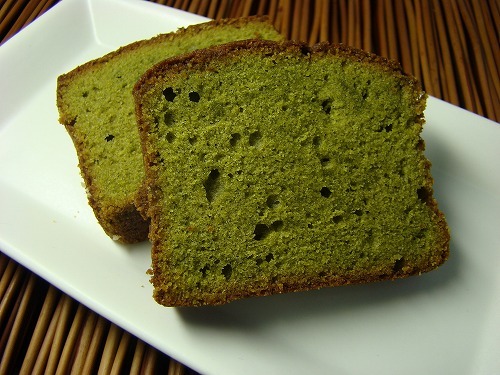 3) A recipe for macha pound cake! Melt the butter, mix in the the sugar, then the egg, then the flour, macha and baking powder. Add the azuki and bake for 30 minutes. YUM! For more on IBBY’s fundraising efforts for Japan, check out the IBBY website. Tags: appearances, author visits, macha pound cake, umi-bozu | Permalink.